Allen in San Jose, Hammered, Caribou and 9 others like this. But you need to watch the original Styx video to appreciate the parody. Allen in San Jose, enharmonic, SnidelyWhiplash and 1 other person like this. LMAO, just what I needed today. HA! God, that needed a parody. 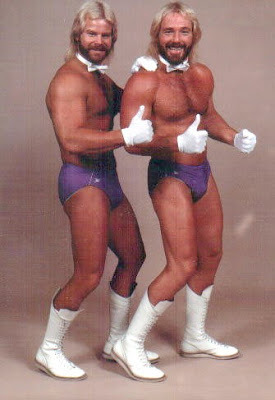 Paul Rudd looks like the Fabulous Ones. Allen in San Jose, SnidelyWhiplash, Analog Delay and 1 other person like this. The attention to detail is really incredible. Major LOL! Cal Webway and Drew68 like this. 80's ist fur gurly man! They look like a bad Las Vegas Holiday Inn band. I'm guessing Fallon might be a gear snob who knew that other gear snobs would notice if the gear was wrong. Allen in San Jose and enharmonic like this. Fantastic. If you have not seen Paul Rudd and Fallon do lip sync wars yet that is a must watch also. Rudd is crazy good. I find fallon very entertaining. That was a great parody of the original vid. He and Fallon are really funny together... hell, Paul Rudd's funny with anyone. My favorite Rudd TV appearances are when he appears on Conan and ALWAYS shows the same video clip from that crappy B-movie, regardless of whatever feature film he's currently promoting. The one he was in with Jason Segel? That was pretty funny. As others have said, the attention to detail makes it work. I actually love the original (song) and pretty much anything Tommy Shaw sings. kingsxman and Cal Webway like this.